Dreaming about nice, simple clutch for the night out and vegan? You can have one from us now. Made of vegan microfibre, with a neat zip and our Freerangers Foot attached to the zip (we also offer tassel end ). 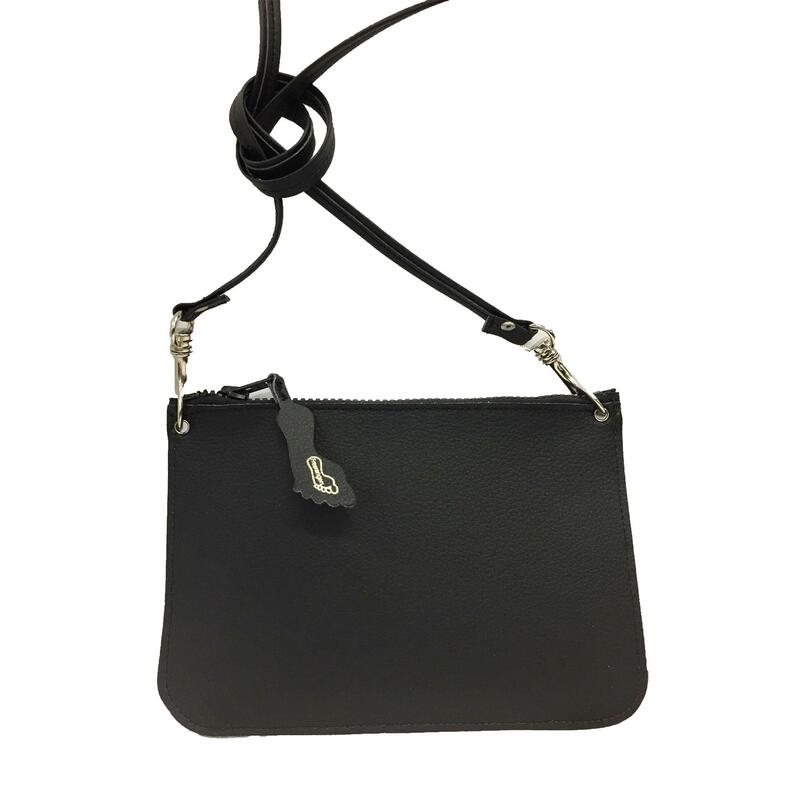 Shown in Jet Black with a detachable shoulder strap.